This is a different type of “how to” book on negotiating, specifically written for women. It is organized around three readily understandable negotiating concepts “Convince, Collaborate and Create” that the authors developed to take advantage of the strengths women bring to the bargaining table and which men can use with equal effect. The book is a practical guide for women dealing with real life negotiating situations. The authors also explore the ten common mistakes women make during negotiations and how to avoid making them. 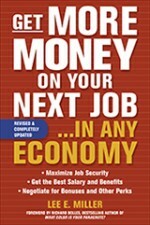 In addition, the book will teach you three keys to successful negotiating. The book also features innovative strategies for negotiating with aggressive men and competitive women. 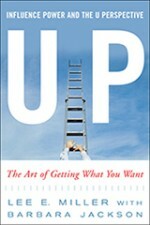 Whether negotiating for a business deal or where to go to dinner, this book shows you how to get what you want. The examples the authors use to illustrate these principles come from their own experiences and those of the women they interviewed including Cathleen Black, President, Hearst Magazines, Carol Raphael, President, The Visiting Nurse Services Of New York, Carol Evans, Publisher, Working Mother Media, Kitty D’Alessio, the first female and the first American President of Chanel, Carole Cooper, owner/agent of N.S. Bienstock who represents television personalities such as Fox’s Bill O’Reilly and NBC’s Soledad O’Brien, Susanna Hoffs, lead singer of The Bangles, Emmy and Tony Award winning actress Christine Baranski, Lisa Caputo, President of Citigroup’s Women & Co and formerly White House Press Secretary for Hillary Clinton, Katie Ford, CEO, Ford Modeling Agency, Elaine Conway, The Director of The New York State Division for Women, and Katie Blackburn, Executive Vice President of the Cincinatti Bengals.